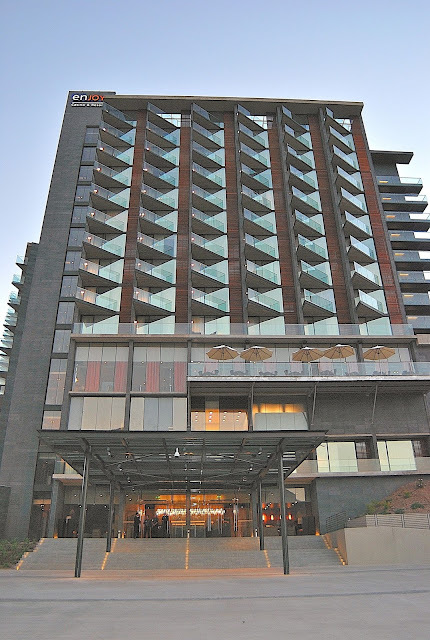 Prior to a vacation, first-timers start paying closer attention to what’s happening at their destination. Many of those anticipating a southern summer in Patagonia probably noticed the 8.3 earthquake that occurred on September 16th near the Chilean city of Illapel, about 300 km north of the capital of Santiago. 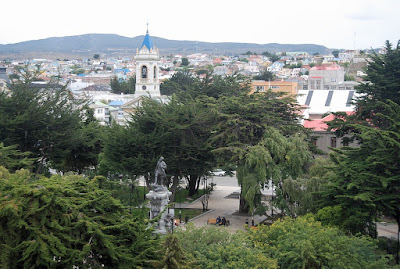 That was a big event but, as someone who’s lived most of my life in earthquake country, it didn’t alarm me – especially given its distance from southernmost Chilean Patagonia, which experiences few quakes of any kind. 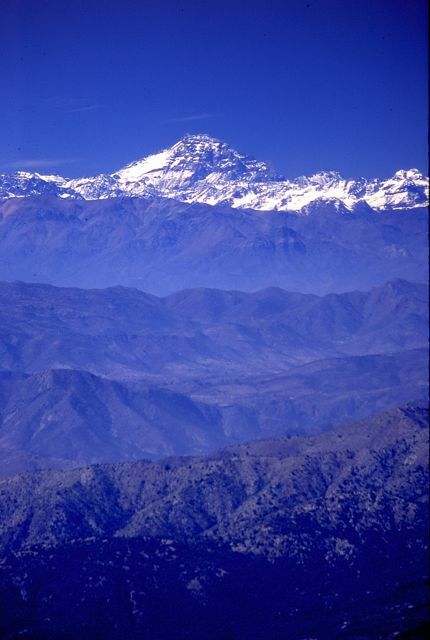 Most of Chile, including Illapel, lies along the westerly Nazca Plate, which has forced the adjacent easterly South American Plate upwards to form the highest peaks of the Andean range (such as Argentina's Aconcagua, above, as seen from the Chilean coast range). 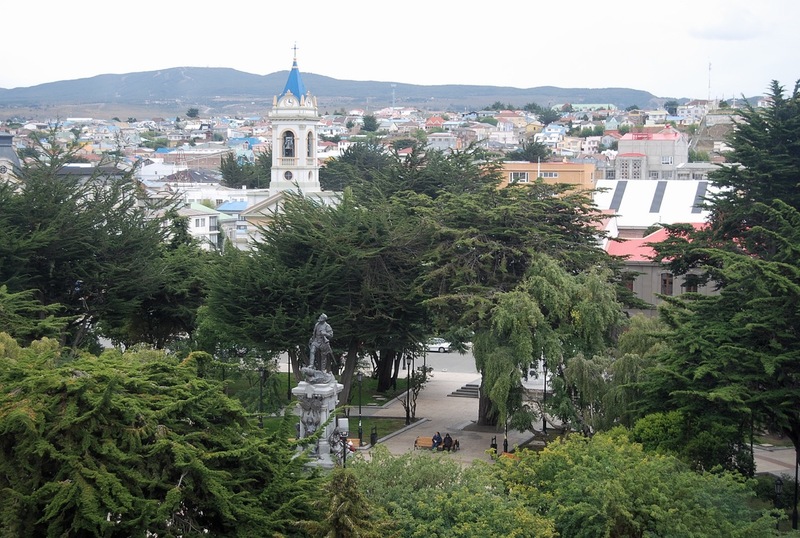 The city of Punta Arenas (pictured above) is roughly 2400 km south of Illapel, where the weaker Antarctica and Scotia plates meet the South American Plate and the Andes – considerably lower in elevation here - gradually disappear beneath the sea. 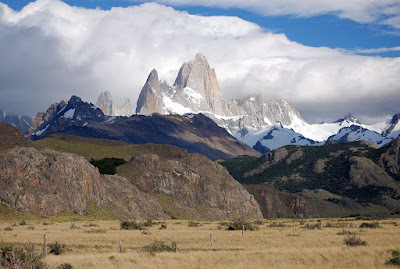 In fact, the majestic granite spires of Chile’s Torres del Paine and Argentina’s Fitz Roy range (pictured below) are summits more recently exposed by erosion than raised by tectonic forces. That’s not to say that Patagonia has been quake-free. Shakes of a 7.5 magnitude took place here in 1879 and 1949 – the latter causing some landslides on Tierra del Fuego, where the latitudinal Lago Fagnano marks the fault line. Those quakes brought minor tsunamis, mitigated by the irregular island terrain. There were also smaller quakes (about 4.7 in 1997 and 1998), and there have been some shallow quakes associated with smaller volcanoes such as Reclus (west of Torres del Paine) and Monte Burney (Chile’s southernmost volcano, about 200 km northwest of Punta Arenas). All this is a way of saying that recent events won’t stop me from going to Patagonia – or any other part of Chile – this coming southern summer. About three years ago, I was sleeping on the ninth floor of an ultra-contemporary hotel in the Andean foothills (pictured above) - not that far from the epicenter of the recent quake - when a 6.5 magnitude event startled me awake. 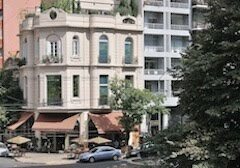 That the shaking caused no damage whatsoever was pretty good evidence, as The Miami Herald recently noted, that new construction standards have improved Chile’s seismic safety. As I grew up in the Pacific Northwest, Mt. Rainier was always a looming presence – at least when the rainclouds cleared enough for us to see it from my hometown of Tacoma or the University of Washington campus in Seattle. Its 14,410-foot (4,392-meter) summit inspired me to think of climbing it one day, but that was something so far beyond my parents’ experience that, when they dismissed the idea, I never pursued it further. Rather, I had to settle for car-camping within Rainier’s shadow. After moving to California, though, I became an enthusiastic hiker, if never a true mountaineer. I spent weekends and weeks hiking through the Sierra Nevada and, whenever possible, I’d climb the most accessible peaks. 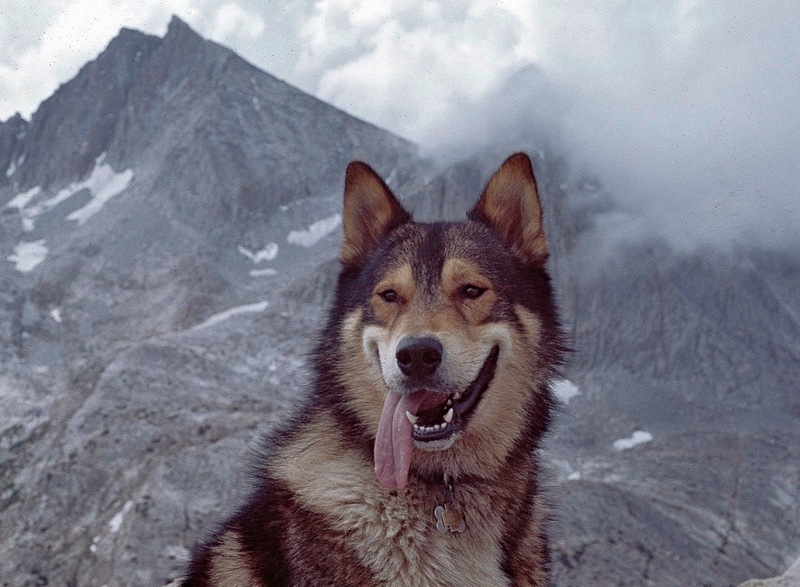 I never did any technical climbing, but I did reach the granite summit of 13,060-foot (3,981-meter) Seven Gables in the company of Bronski, my beloved first malamute (pictured above). 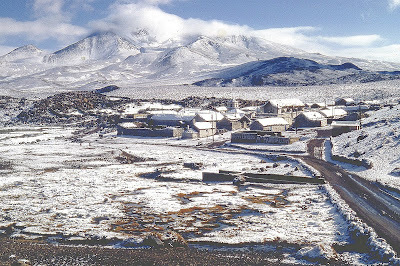 Then, in the early 1980s, I spent most of a year in northernmost Chile, researching my M.A. 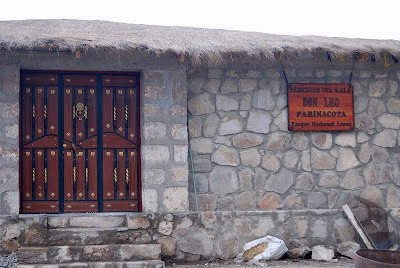 thesis on llama and alpaca herders in Parque Nacional Lauca. 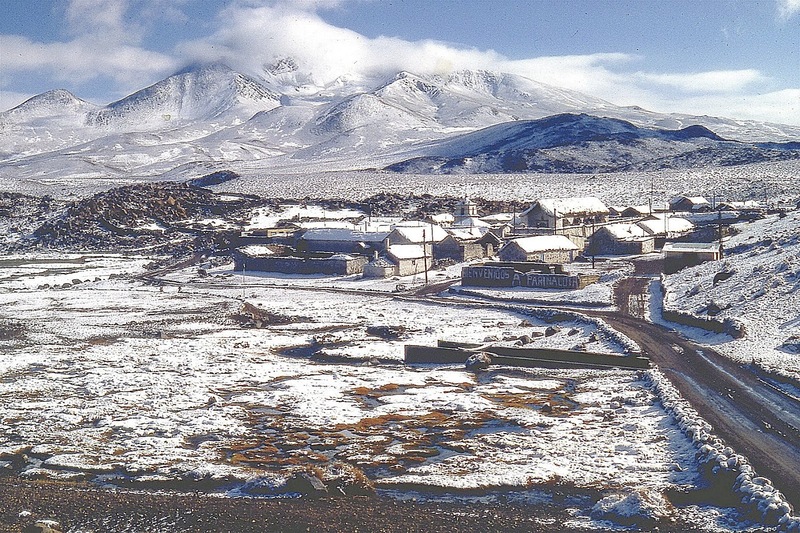 I lived in the tiny Aymara Indian village of Parinacota (pictured above), which sits at 14,400 feet (4,400 meters), near the snow-covered sister volcanoes known collectively as the Pallachatas (6,336- meter (20,782-foot) Parinacota and and 6,282-meter (20,610-foot) Pomerape). That sort of mountaineering was beyond my abilities, but I kept an eye on nearby Cerro Guaneguane, an extinct volcano with no permanent snow (it's obscured by cloud in the background of the photo above). The base was easy walking distance from my accommodations with the Corporación Nacional Forestal (CONAF, which manages Chile’s national parks), but it still took me a while to work up the initiative to climb it. 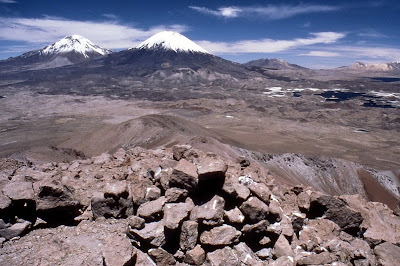 At that altitude, my throat was dry every night and even sleeping could be an effort. Parinacota now has a simple accommodations in Aymara-run Albergue Uta Kala (pictured below). At 5,097 meters (16,722 feet), Guaneguane never presented the technical challenges that Mt. Rainier or Parinacota would have, but it’s not a casual hike. In the first instance, there’s the altitude but, living in the village, I was already acclimated. Secondly, there was the terrain – it was unrelentingly steep and, in many parts, soft. Hiking up volcanic ash often meant two steps forward and one step back, but the reward was spectacular panoramas of the snow-topped Pallachatas (pictured below) and the Bolivian altiplano (high steppe). It was, literally, the high point of my life.